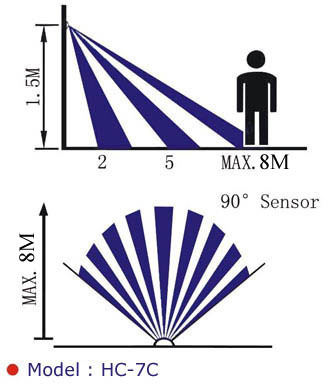 IS9C sensor switch can detect the infrared Rays released by human body motion within theDetection area, and then start the load-light automatically. This unit is designed to use withIncandescent light (indoor use only). With this switch, light-load can be operated manuallyas well as automatically as per your requirement. 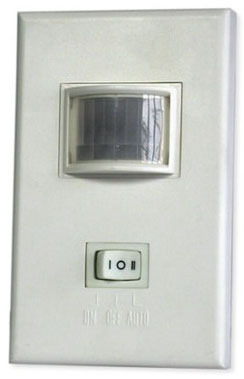 It has a normal switch, which is special in the PIR Sensor. Some customers want to make the lamp always on or off can achieved by this switch. The HC-7C is better for indoor use, such as living room and restroom and so on.